Disclaimer: This issue of The Clocktower is 98 percent fake news and 100 percent awesome. The events described are fictitious and any similarities to real world people or events are a coincidence. April Fools! If you have concerns or complaints please write them down, put them in a bottle and gently place the bottle in Holmes Lake. We’ll get back to you as soon as possible! 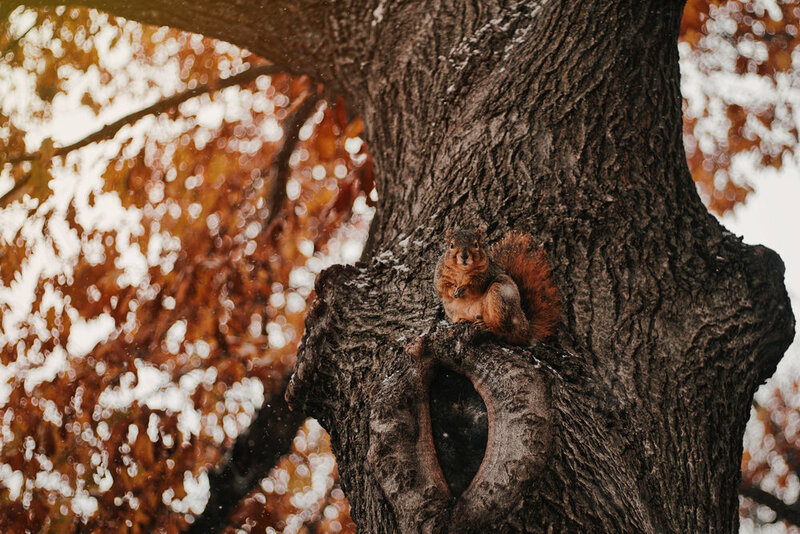 Union College shares its campus with some amazing creatures—fluffy rabbits, mysterious owls—but what can compare to the majestic squirrel? These spectacular animals are an essential part of life at Union and we should do our best to befriend them. Here are several fun activities for you and your new squirrel friends. Everyone knows an essential part of a friendship is letting the whole world know about it. And what better way to do this than by making friendship bracelets? Grab some colorful beads and craft thread and let your imagination run wild. Although getting the bracelet onto the wrist of the squirrel may be difficult, the end result will definitely be worth it. Soon everyone on campus will know you and the squirrels are besties for life. Lab partner not responding to your texts? Crush ignoring that love letter you poured your heart into? Try sending a squirrel instead! New studies have shown that people are less likely to ignore a message when it’s attached to a squirrel that’s chasing them. Simply write out your message, tie it around a squirrel’s tail, and let the squirrel know the name and address of the recipient. It’s a foolproof method of communication, so feel free to use it for all your document transportation needs, including turning in homework assignments and sending in job applications. Sure, squirrels may not technically be dogs, but they do have four legs, eyes, a nose and a tail. They can also run and hold things in their mouths which suggests that they can play fetch. Grab some sticks or a frisbee and prepare for a fun afternoon outside. Although the squirrels may not initially understand why you’re throwing things and looking at them expectantly, they’ll get the hang of it eventually. Hopefully. The squirrel population around Union is growing at an alarming rate, and it’s not unreasonable to be concerned. Within the next few years it’s possible squirrels will outnumber students. The squirrels know this and they are planning something. Put together a realistic squirrel costume and gain the squirrels’ trust. Within 8 - 12 months they’ll accept you as one of their own. You can experience their way of life and learn their dark secrets so when war comes, you’ll be ready.